I was in a card swap recently and this was one of the cards I received. This card was made by Kathy House. I really like the idea she had of using the embossing folder to make a design on part of the front and back. It really gives a beautiful effect. Colours used here are so saffron, real red, marina mist & vanilla. 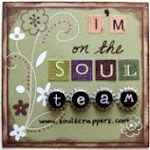 Of course everything is from my favorite company, Stampin Up! !